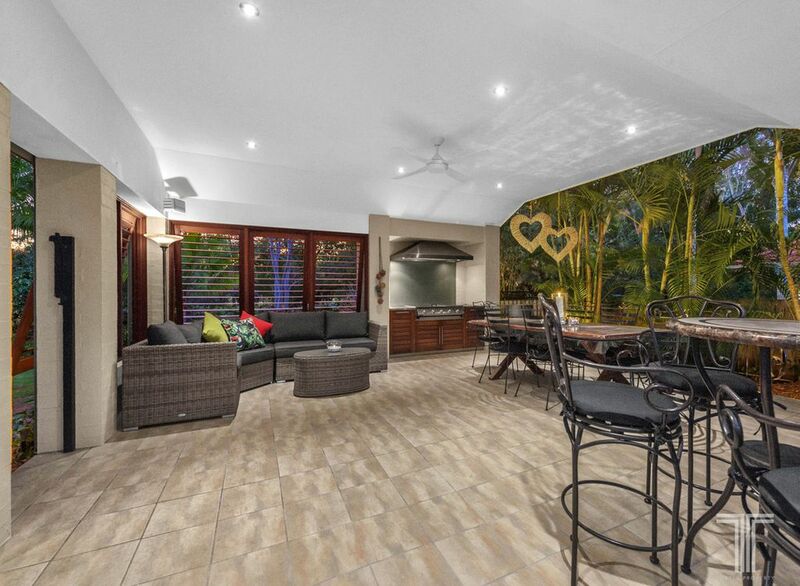 A tropical retreat with resort style entertaining, this grand family home on a sprawling 877sqm is destined to impress. 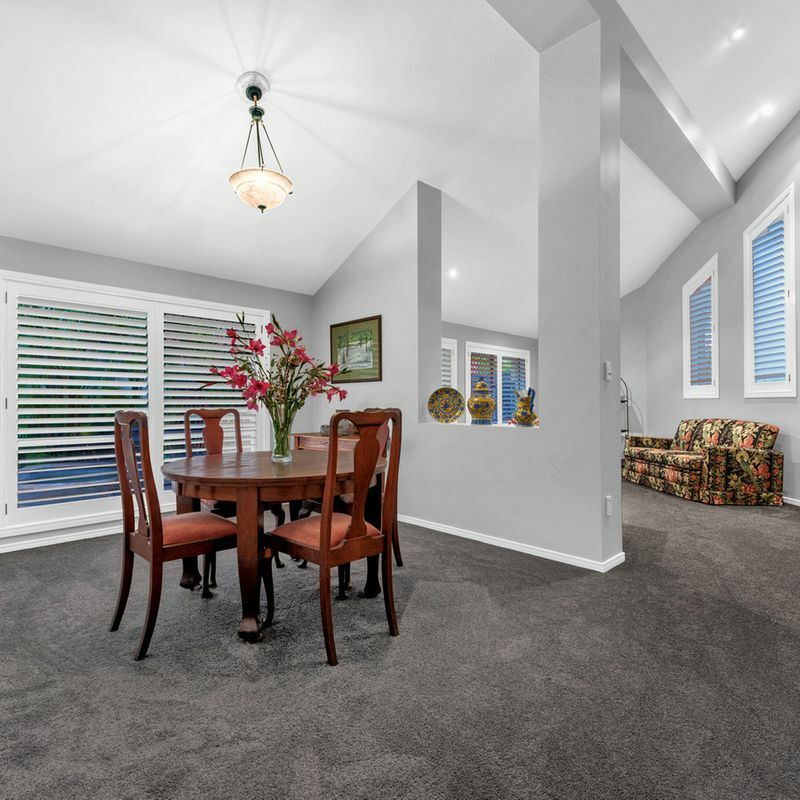 Immaculately presented and flawlessly designed, the home draws you inside and into the formal lounge and dining rooms. 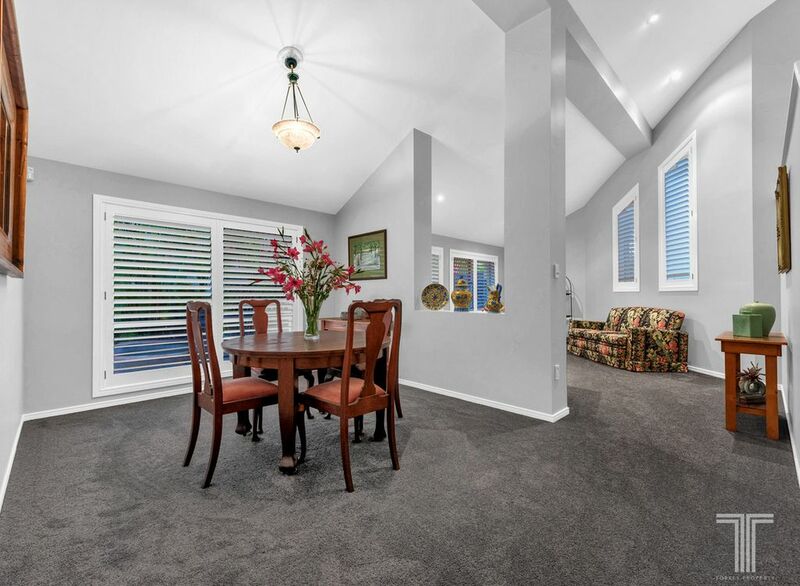 Dressed in plush carpeting and featuring plantation shutters and soaring slanted ceilings, this stylish and formal living space is perfect for entertaining and special occasions. 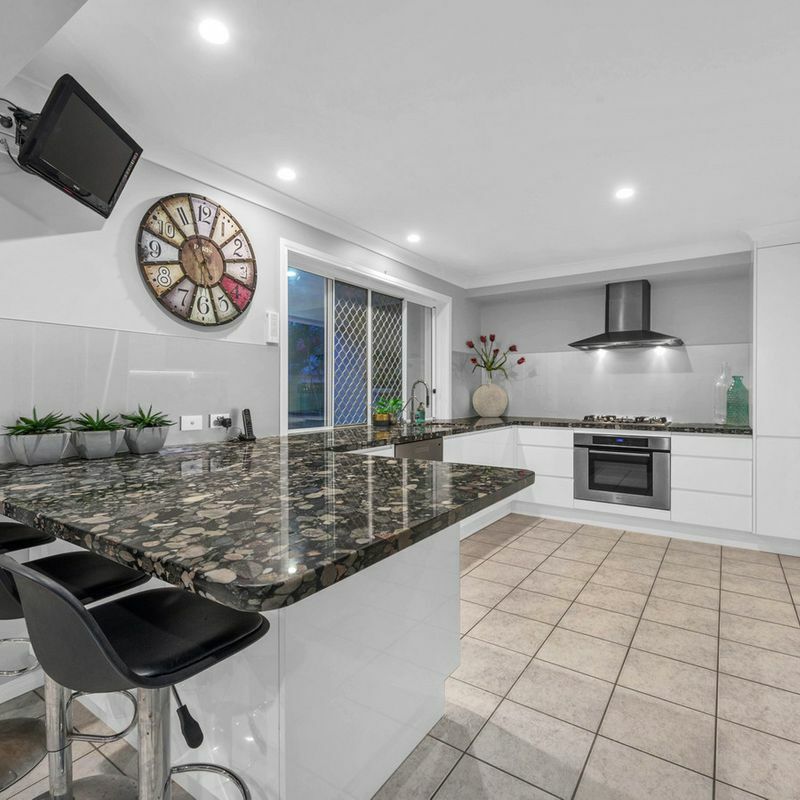 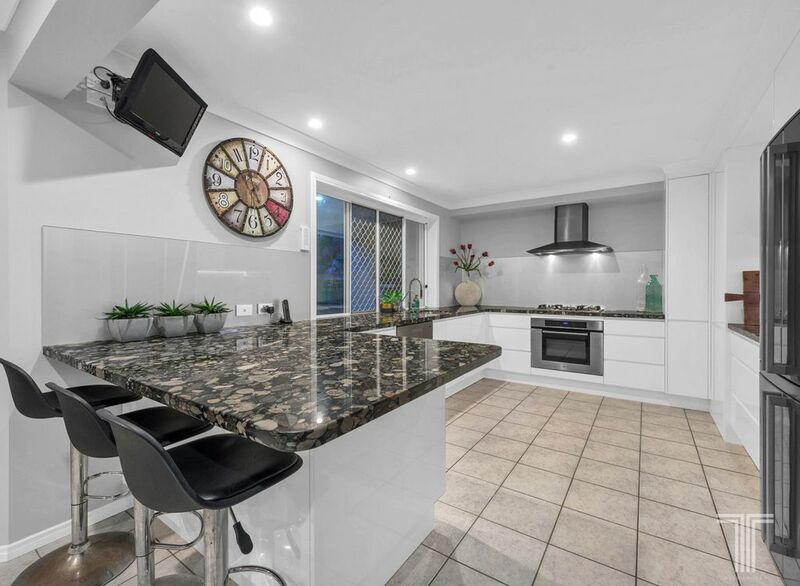 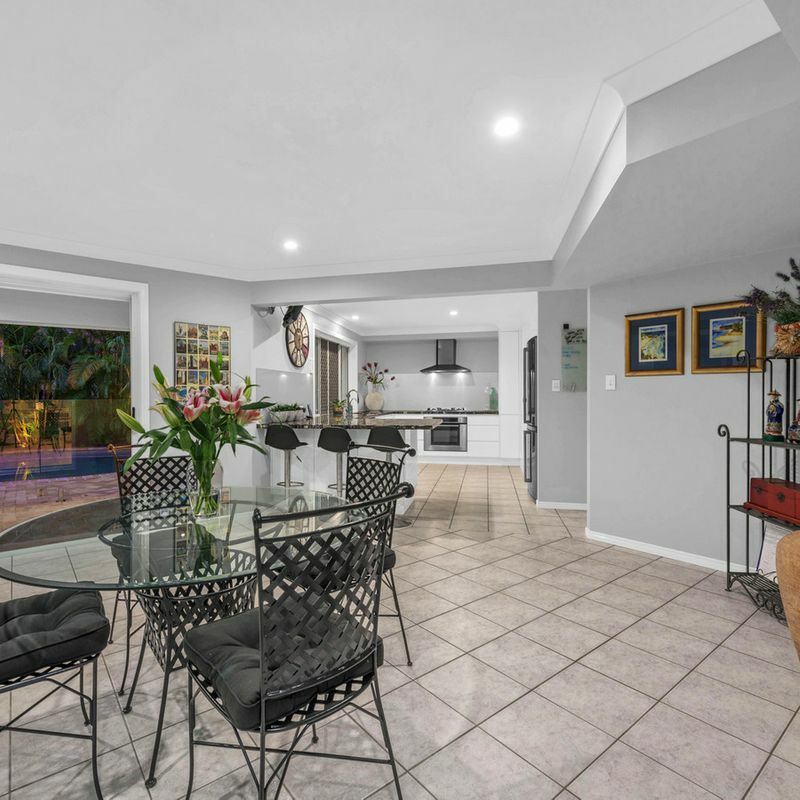 Centrally positioned to easily service the indoor living areas and outdoor entertaining zone, the open plan kitchen is adorned with wraparound granite benchtops, breakfast bar, wall mounted TV and selection of quality stainless steel appliances. 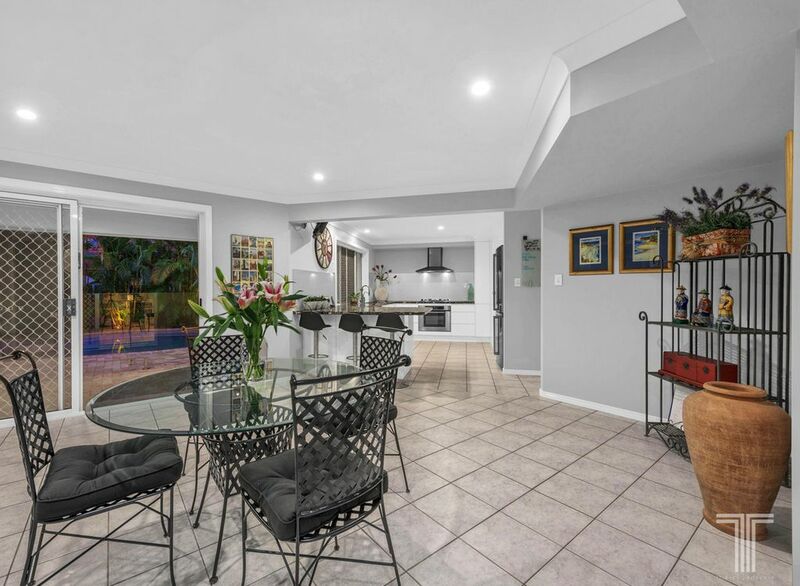 Extending off this well-appointed kitchen, the casual meals area steps out onto the poolside patio, while the spacious media/games room is perfect as a teenager’s retreat and flows onto the exceptionally designed, resort style sala. 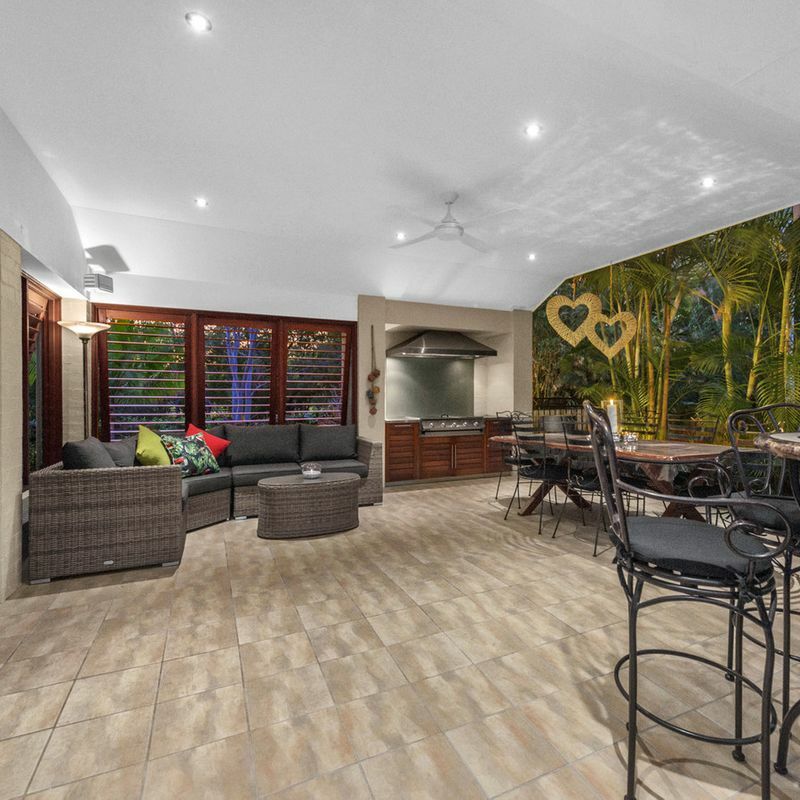 The ultimate indoor/outdoor oasis, boasting Surien hard wearing timber shutters, built-in BBQ, grassed area, firepit, tropical palms and views over the glistening, heated saltwater pool and spa, entertaining here will be an absolute pleasure. 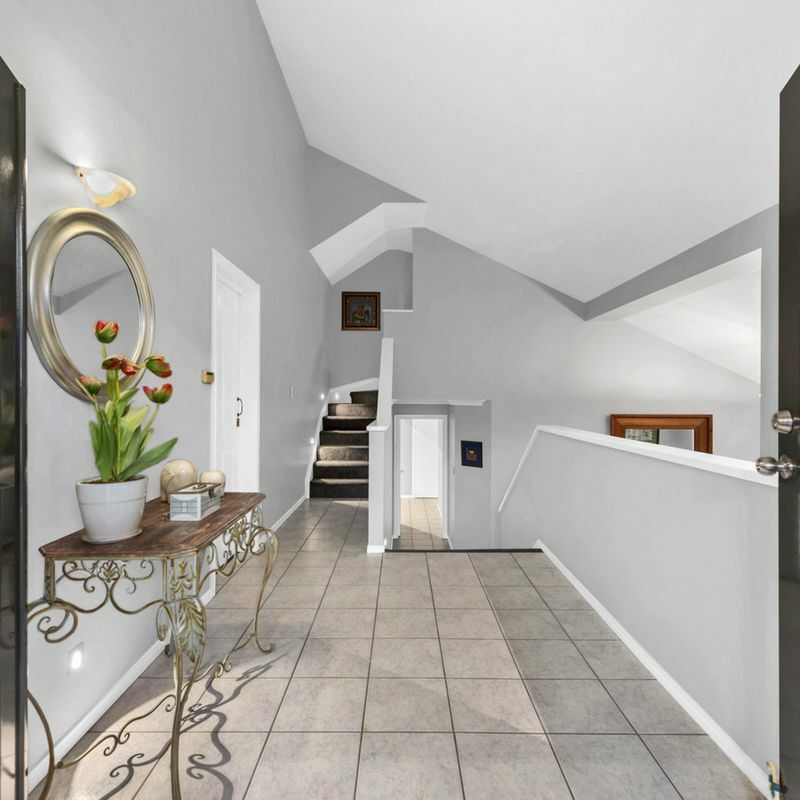 Completing this lower level are three bedrooms, all with built-in robes. 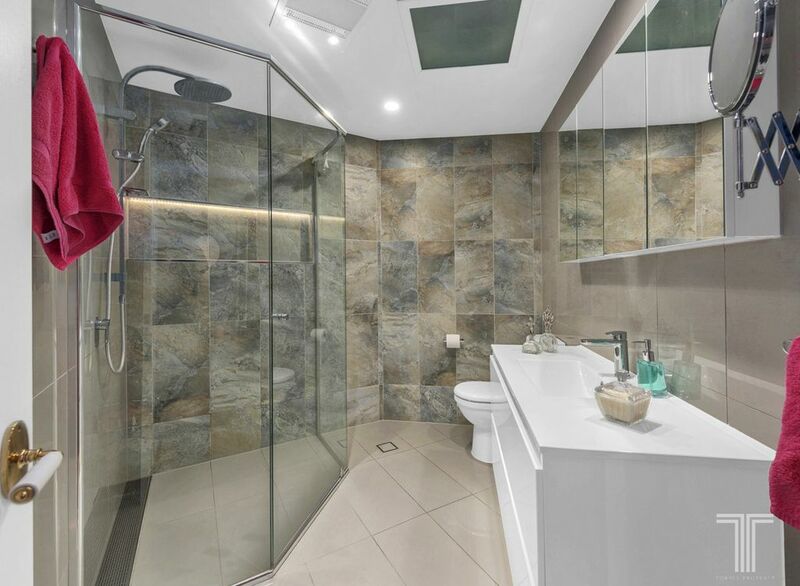 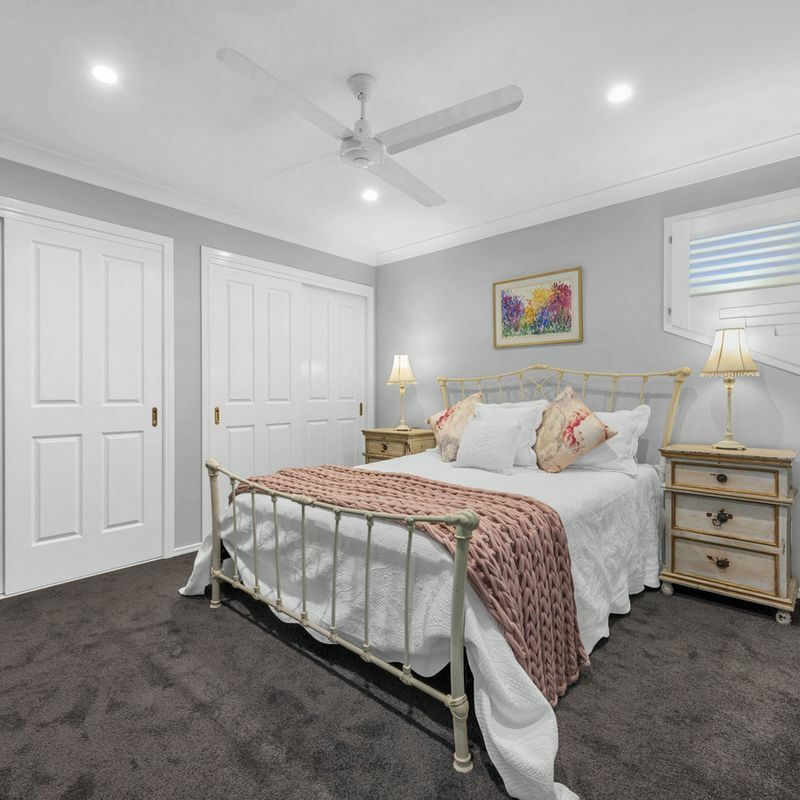 While the larger of the bedrooms enjoys a private ensuite and can serve as a second master bedroom, the additional two rooms are serviced by the sleek and modern main bathroom with separate toilet. 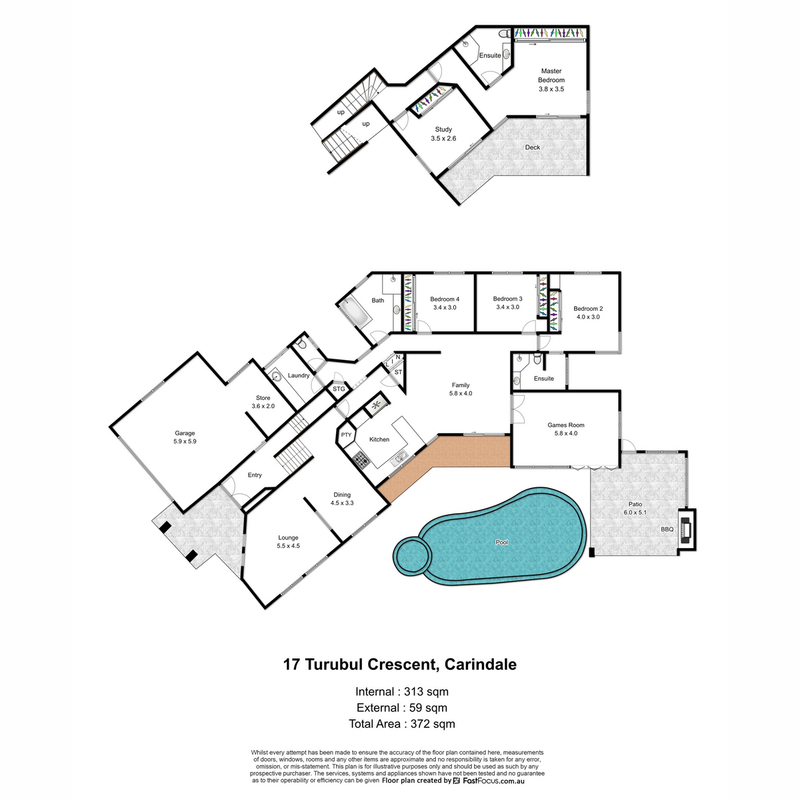 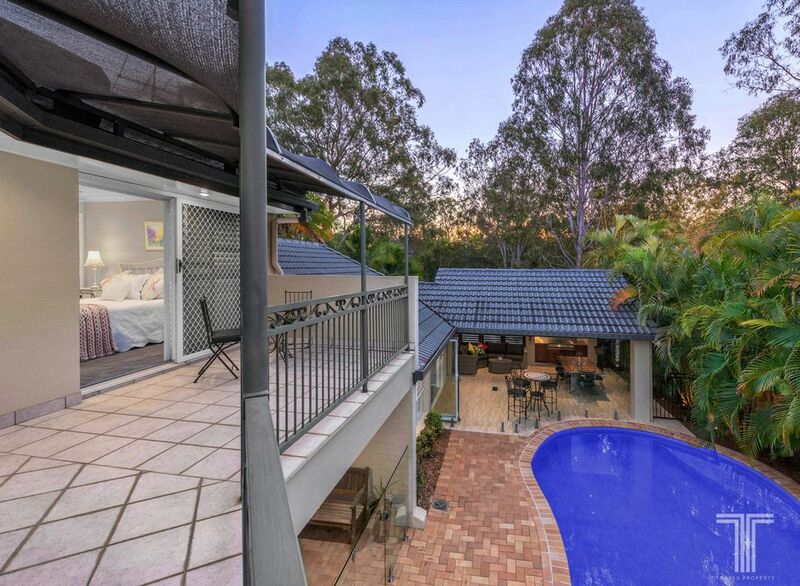 Positioned on the upper level, a private master retreat accompanies a study/fifth bedroom. 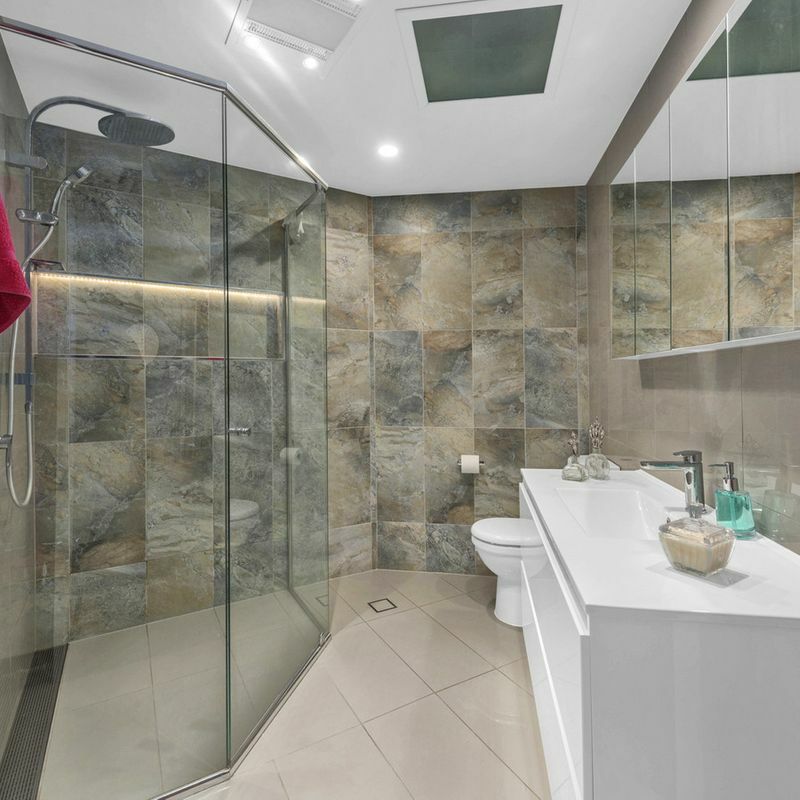 Both including built-in robes and sliding door access to the elevated balcony, the master also includes a lavish ensuite. 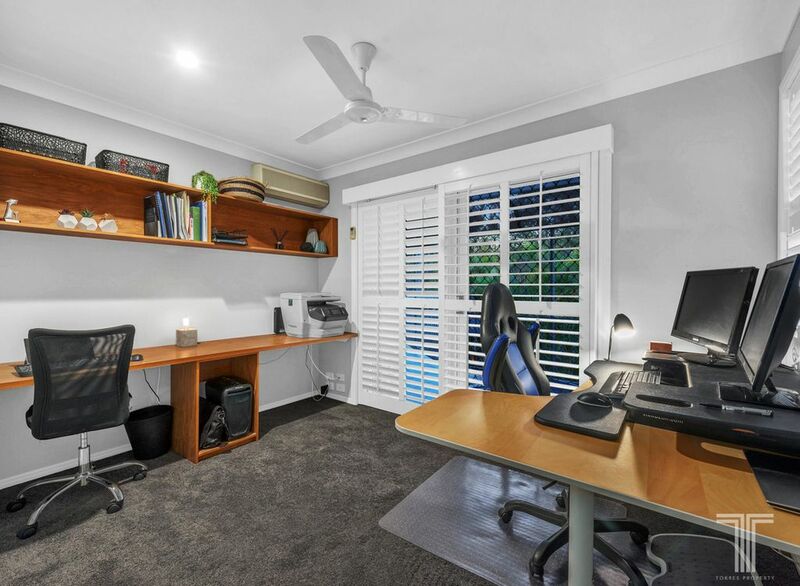 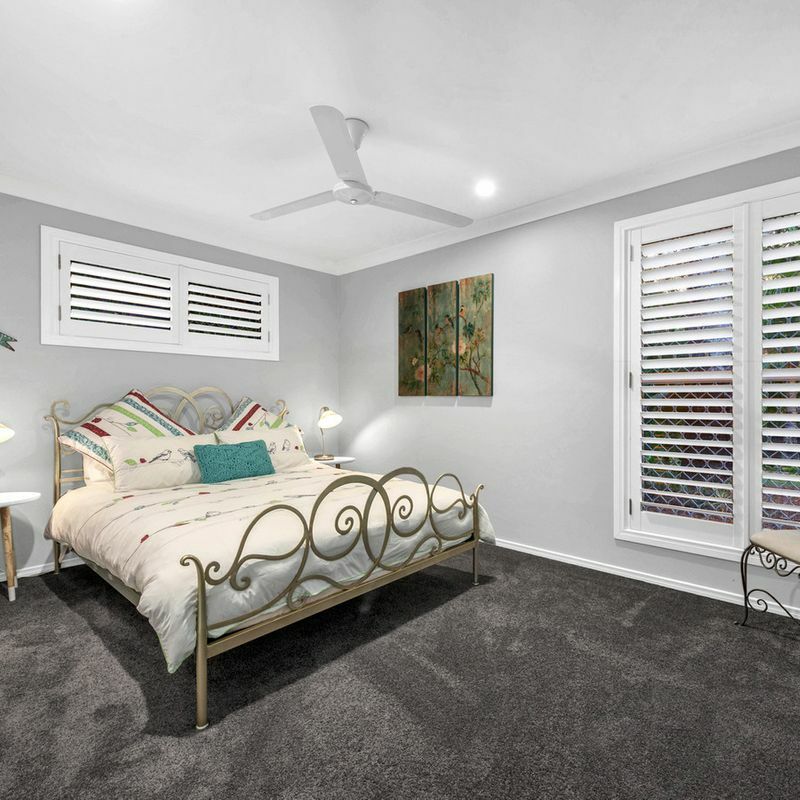 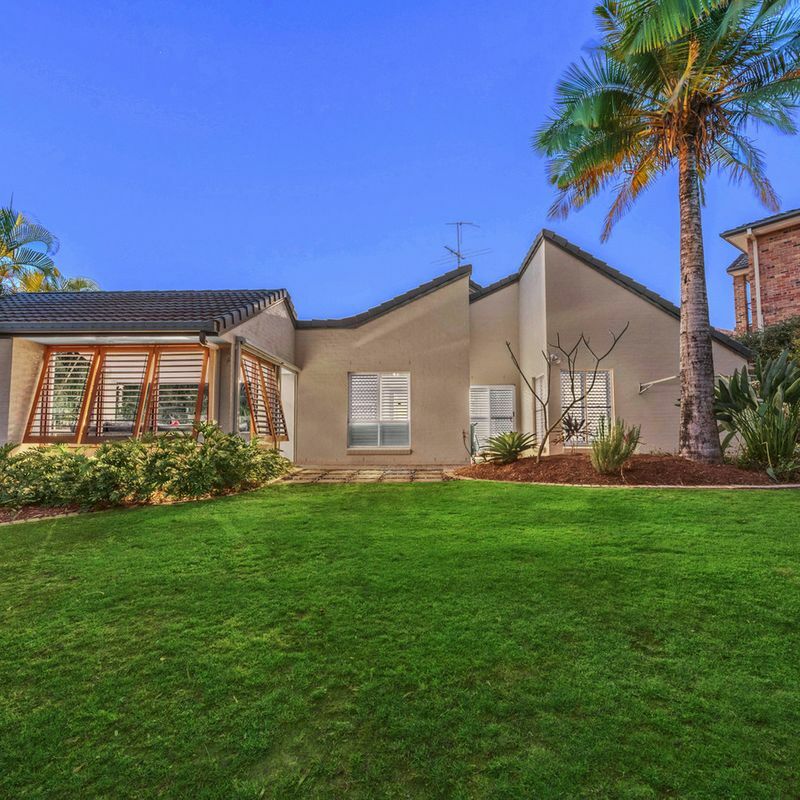 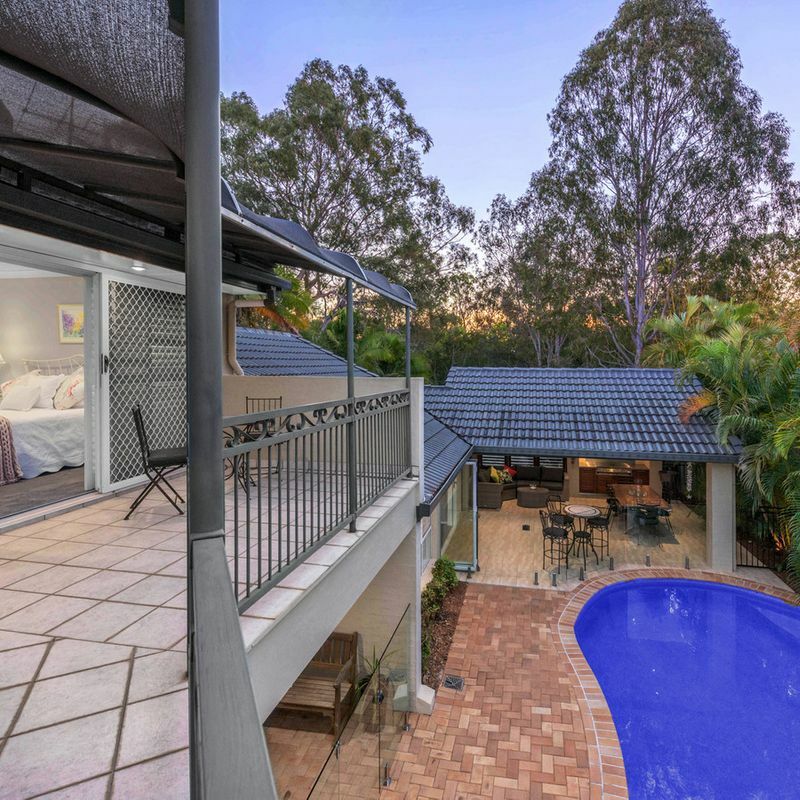 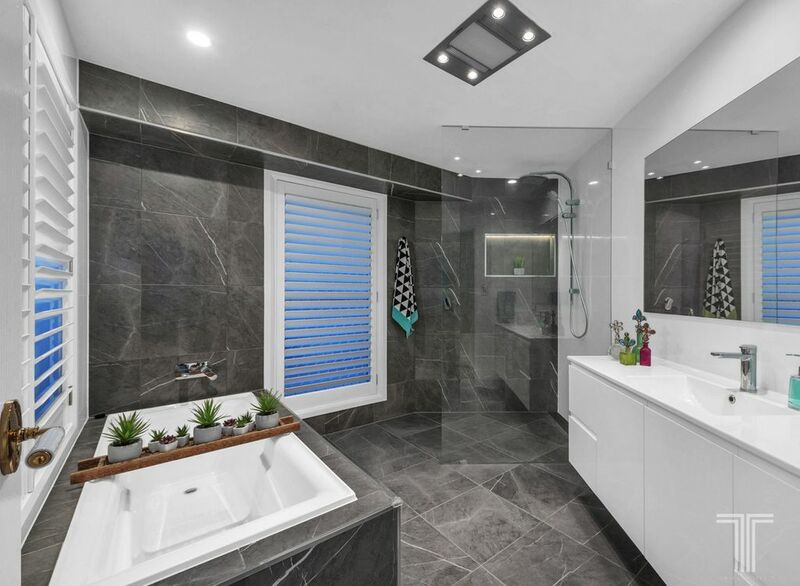 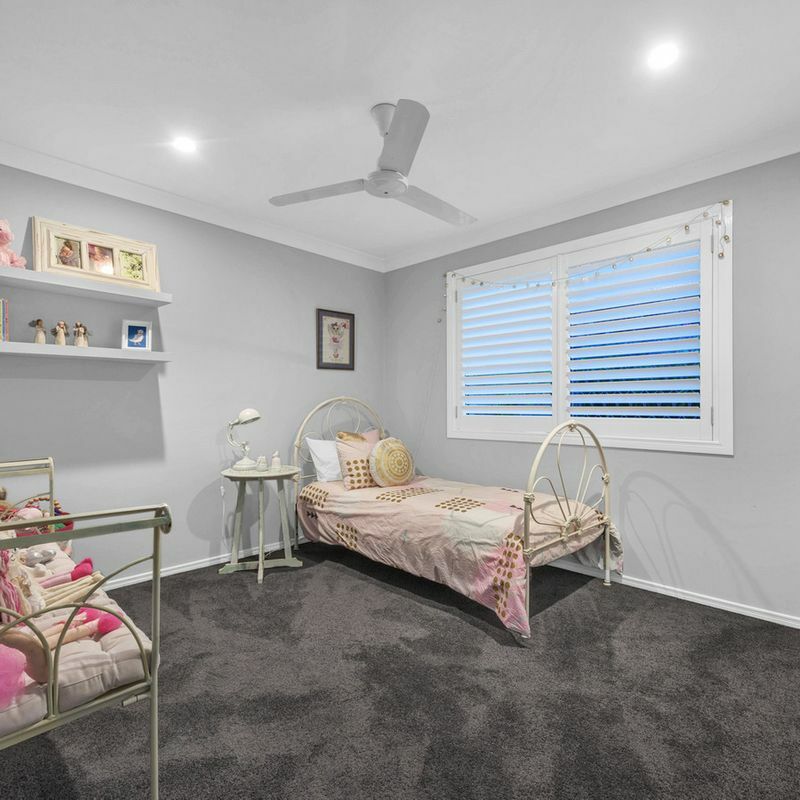 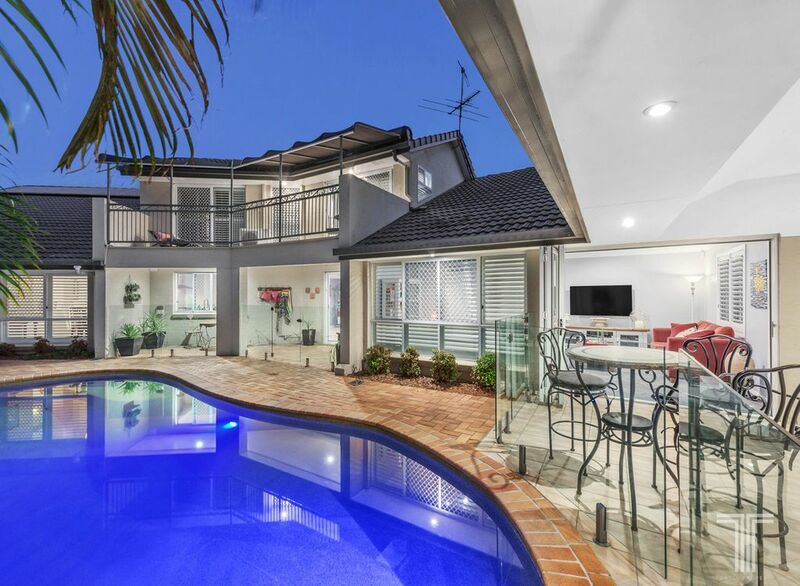 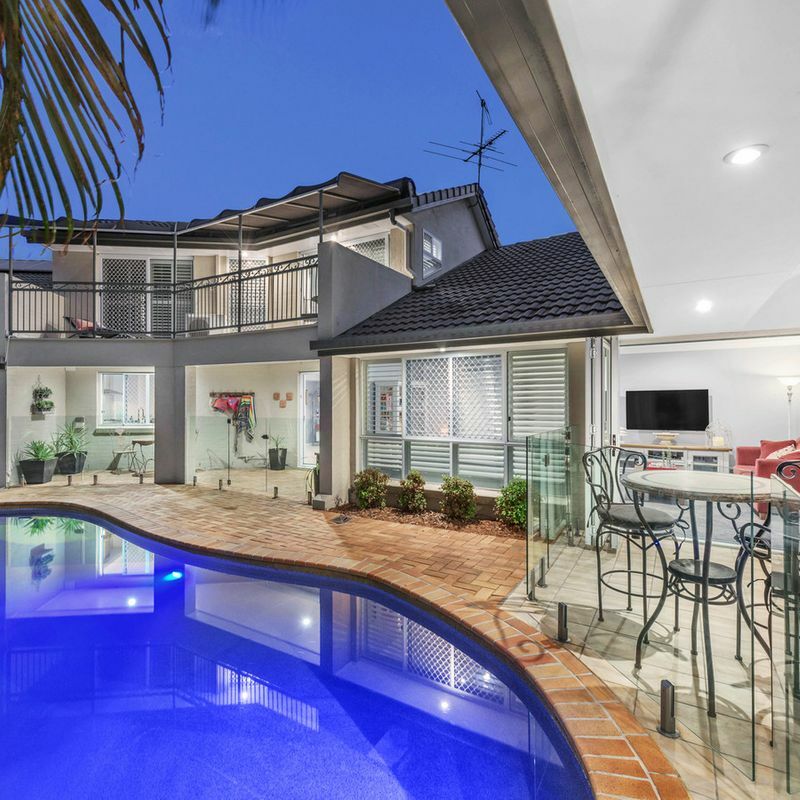 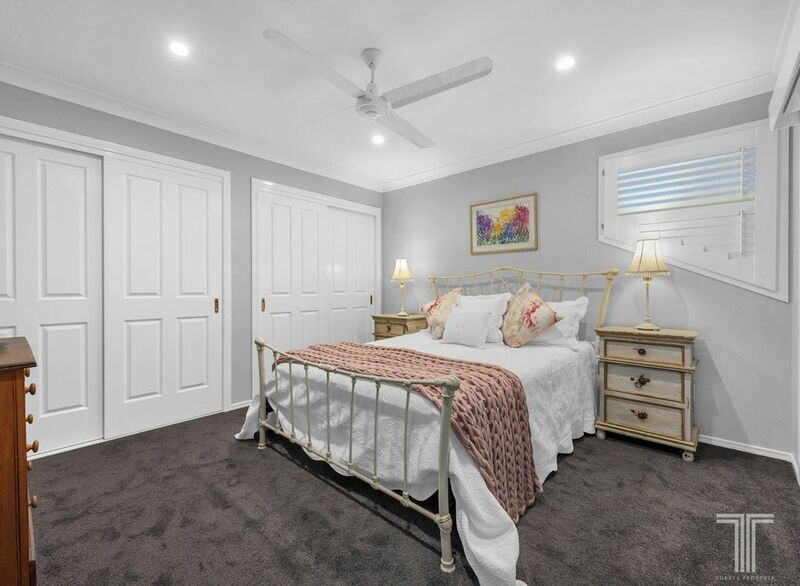 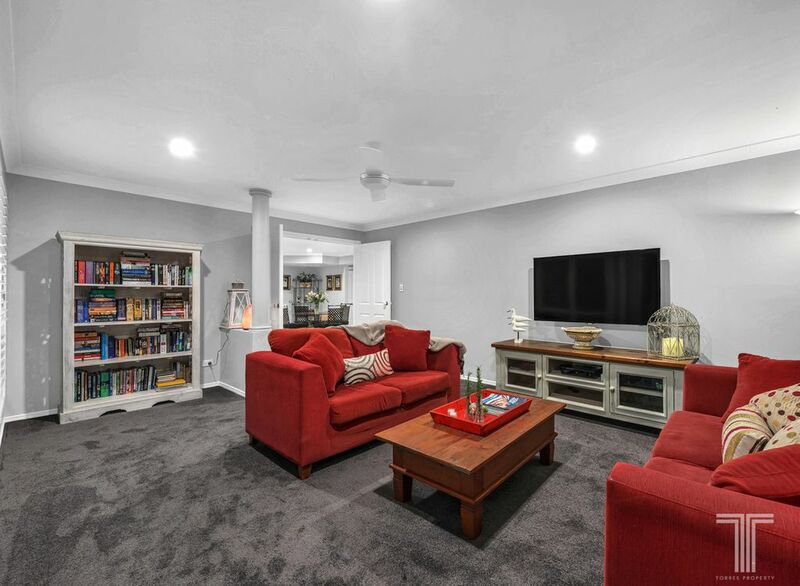 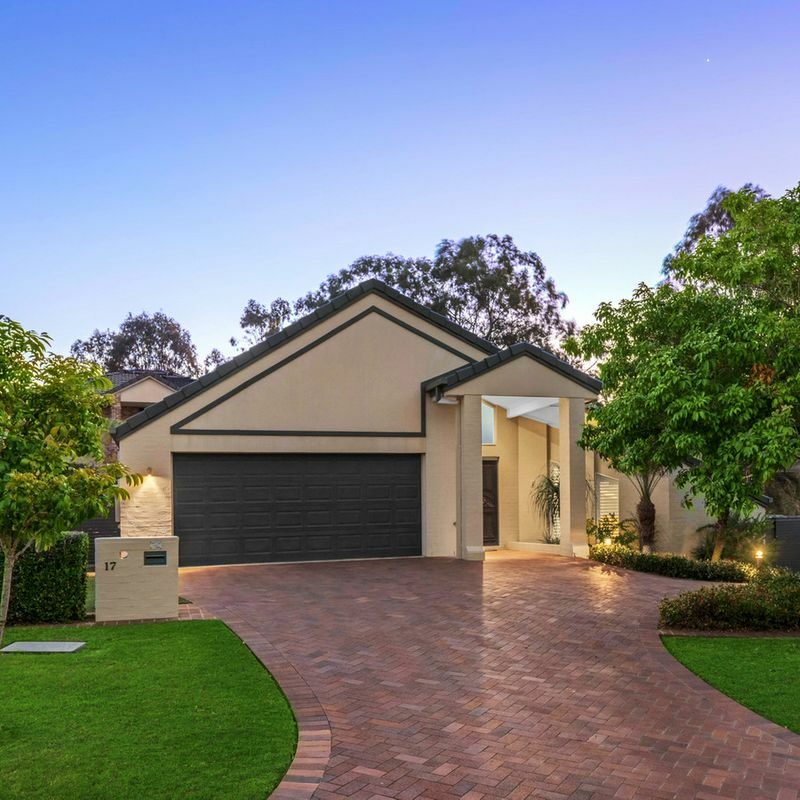 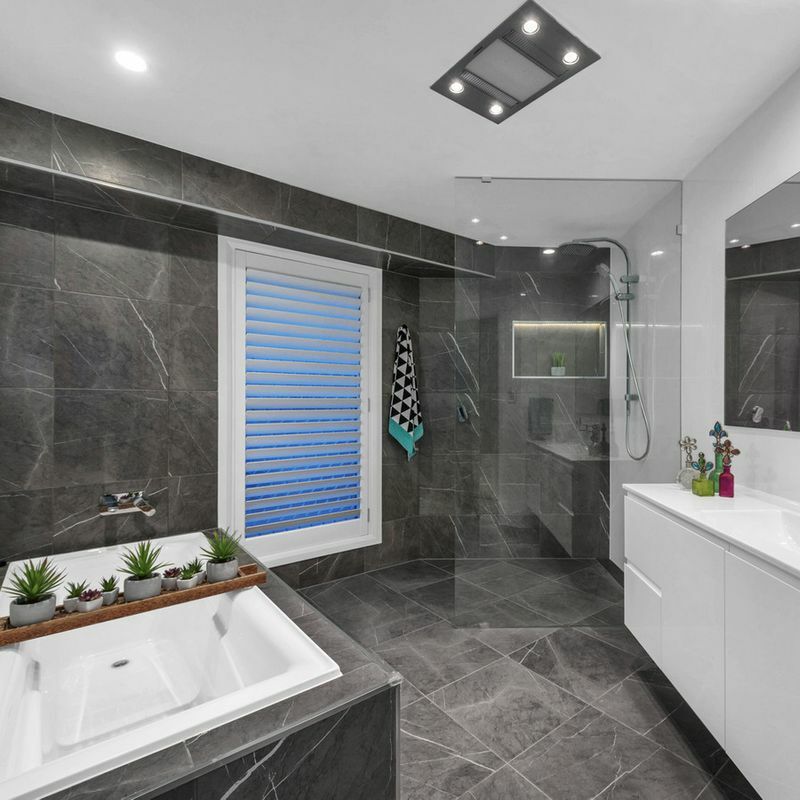 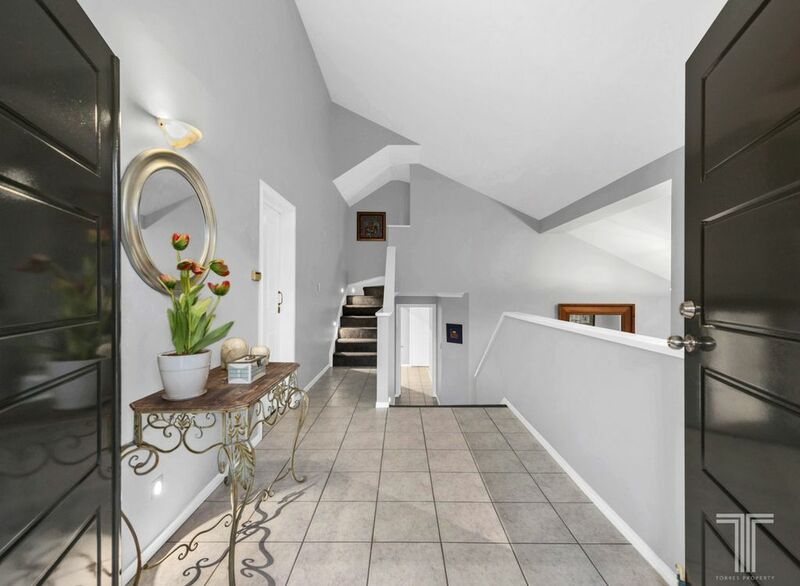 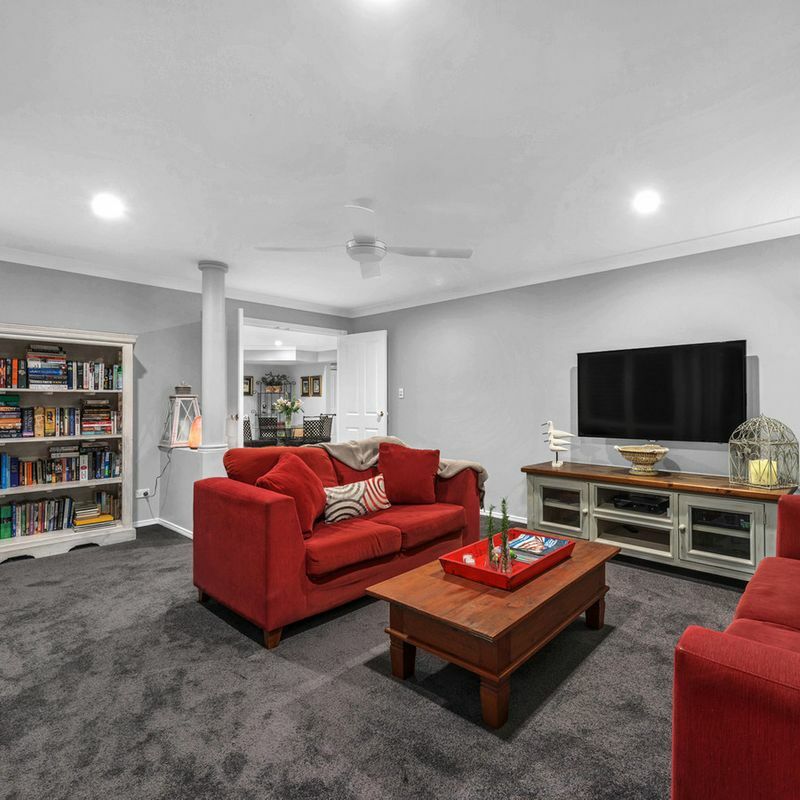 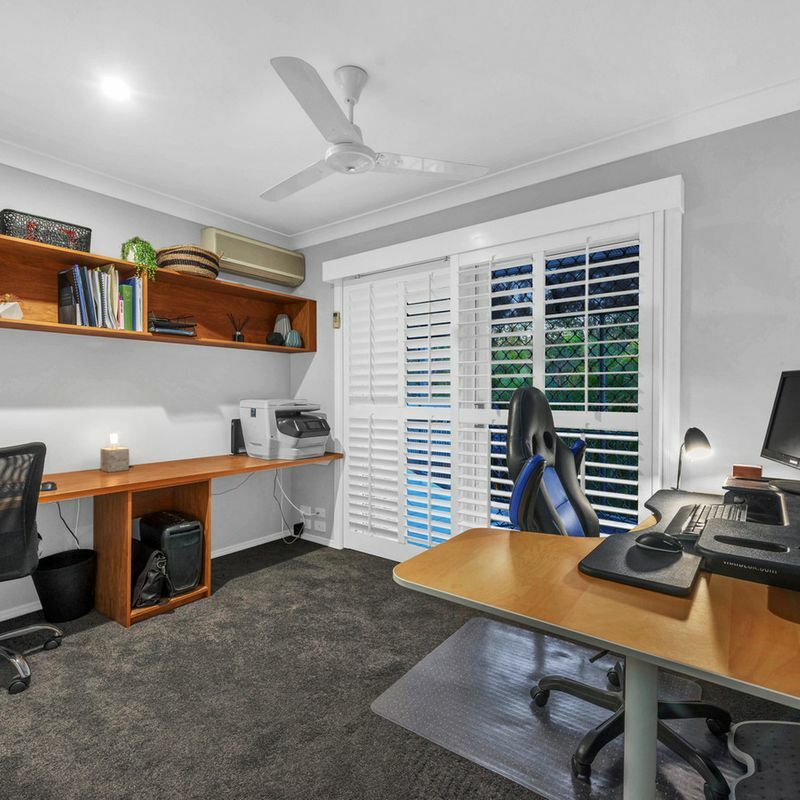 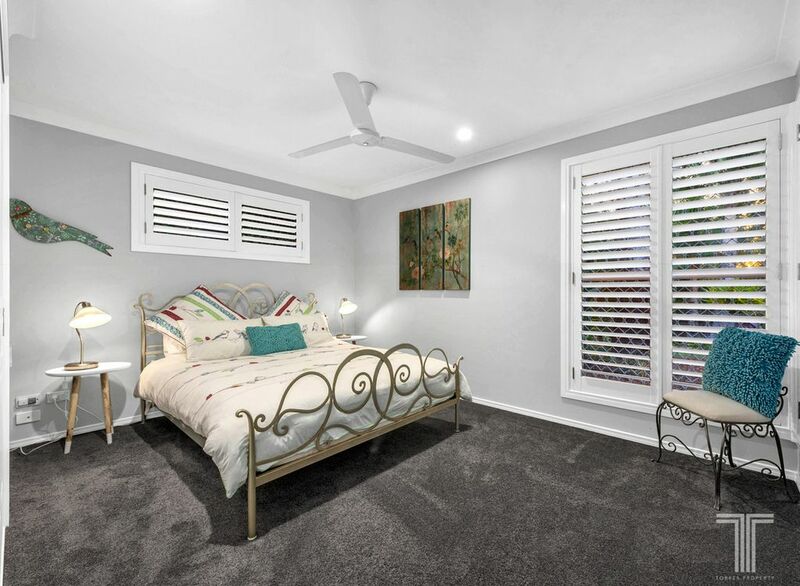 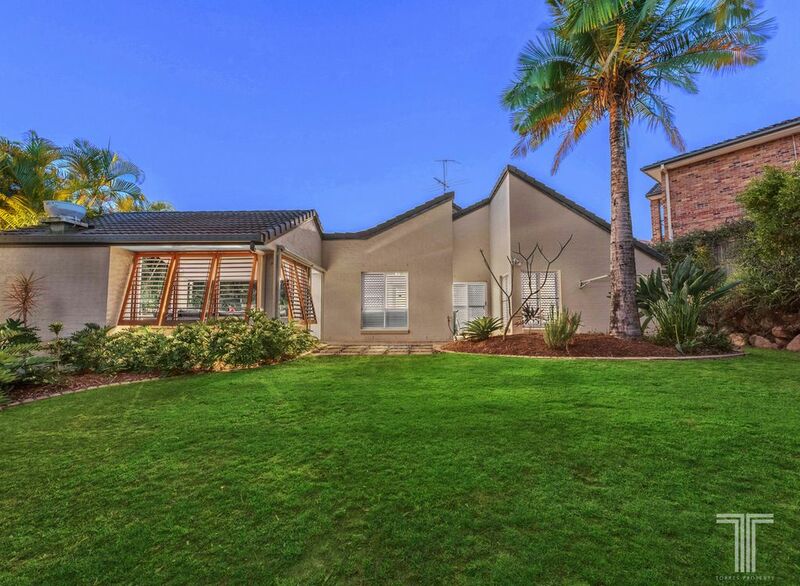 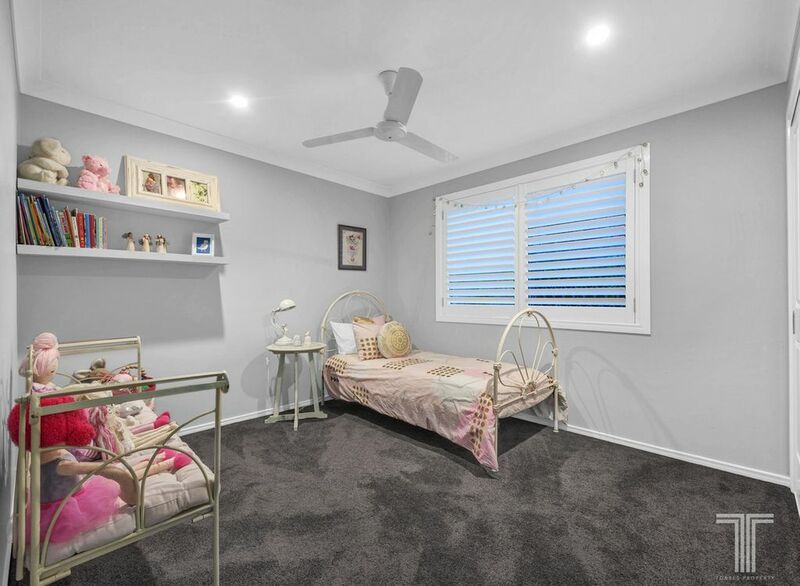 A scenic position backing onto parkland and Bulimba Creek, residents will enjoy Pacific Golf Club just metres from your door and Westfield Carindale 6 minutes away. 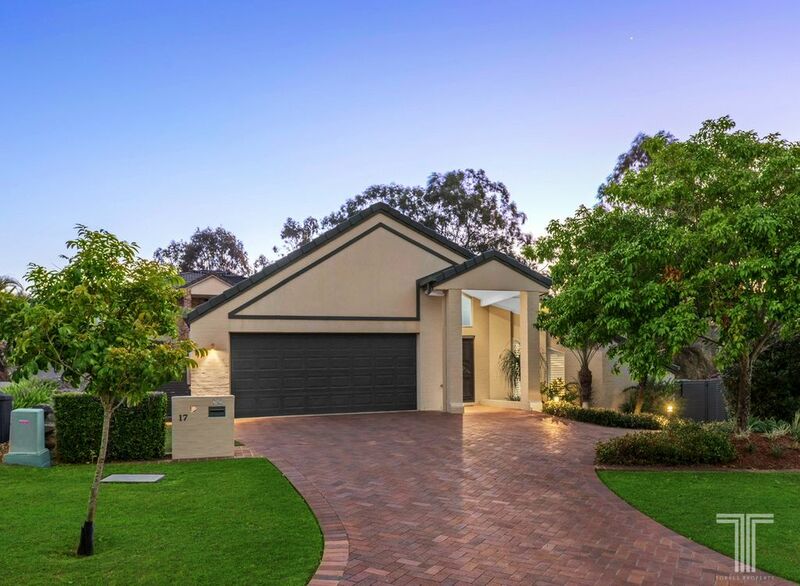 Surrounded by parkland and close to local schools, shops and buses, this quiet, family friendly setting, any inspection will not disappoint!